Cogs is an innovative puzzle game where players build an incredible variety of machines from sliding tiles. Immersed in a steampunk world with stunning visual design, Cogs is pure eye candy. Players can choose from 50 levels and 3 gameplay modes. New puzzles are unlocked by building contraptions quickly and efficiently. OS: OS X version Snow Leopard 10.5.8, or later. David has created another design tour analyzing the classic indie title Cogs. In his design tours, David points out game design details that make different games stand out. 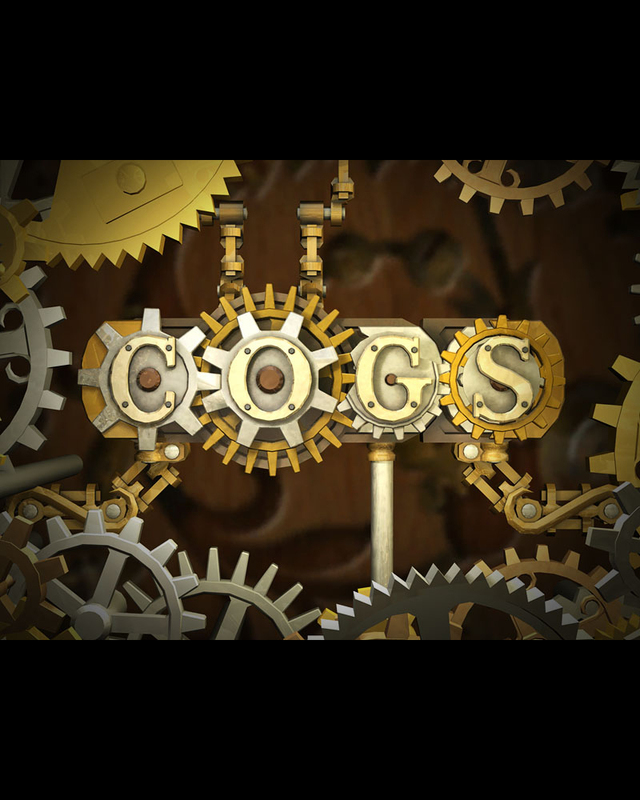 Cogs is an innovative, steampunk, sliding puzzle game which is in the Humble Indie Bundle 3. I've definitely passed through a solid phase of addiction to Cogs, but I've never really thought about the underlying principles that make the game so fun. Be on the look out for another design tour soon! Don't forget to pick up your copy of the Humble Indie Bundle #3 if you have not already. Build an incredible variety of machines from sliding tiles. Immersed in a steampunk world with stunning visual design. Any chance of Desura keys from the latest Humble Bundle? It's 75% off on Steam until January 2nd but full priced here, I don't understand why do you exclude Desura users (I won't buy on Steam as they don't support linux). Is there any chance of there being Desura keys for HiB4 buyers please (like myself, who missed HiB3 :( )? I gave you karma. Negative karma. Have now bought it, cogs. arent indie games supposed to be free? Look around you.. do you know where you are? If anything it should be the non-indie games that are free. its perfectly valid to ask money for the hard work of indie developers, people think indie means free, but not because you are not a big company mean you do not deserve any money. lol... not all indie games are free, a lot of very awesome indie games you have to pay for.